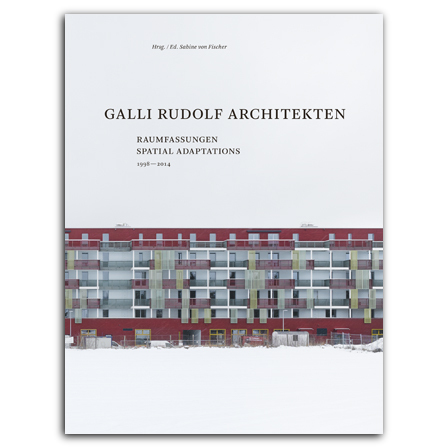 The Zürich-based firm Galli Rudolf Architekten has built a range of projects in housing, mixed-use developments, and schools and has garnered acclaim for its innovation in integrating and preserving historic buildings in the midst of large rebuilding or redevelopment projects. This volume is the first to take a detailed look at the firm. A wealth of plans, images, and diagrams are complemented by a series of essays that take up the architects’ education, cultural interests and interactions with artists, their focus on community, and, crucially, their strategies for organizing space—and using space to frame projects at the urban periphery and maintain historical continuity even in the midst of change. is an architect, critic, and publicist. She writes and researches at the interface of architecture and science at EPFL in Lausanne and the Max Planck Institute for the History of Science in Berlin. is an architect and partner with Hanspeter Oester Reto Pfenninger Architekten in Zurich. Besides his architectural practice, he is a professor for Architecture, Design, and Construction at the University of Applied Sciences and Arts Northwestern Switzerland. currently lives and works in New York, where he directs the Potlatch Lab as well as the journal for art and architecture of the same name and teaches at Columbia University GSAPP. He has has curated exhibitions on Adolf Loos and Frederick Kiesler.